Bullhorn and Vonage Business have teamed up to streamline and enhance your outbound and inbound communications. 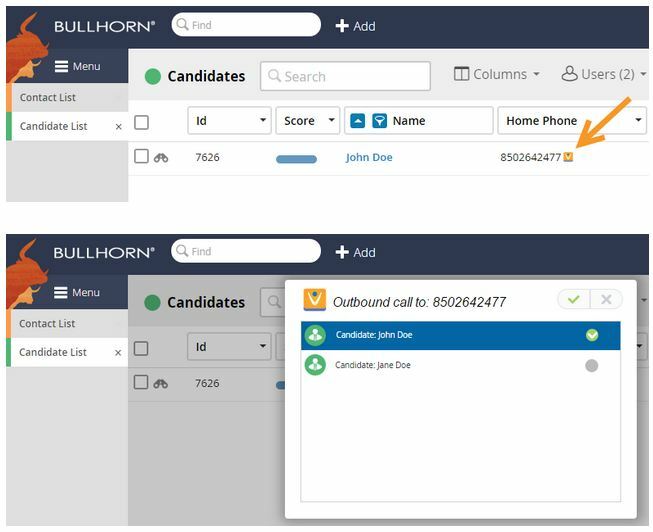 Quickly find caller details, add notes, and make calls at the click of a button with the new Chrome plugin from Bullhorn and Vonage Business. When you’re using a high-performance customer relationship management tool like Bullhorn, having the right system integrations can help you streamline the way you keep in touch with your contacts. With the new Vonage Business Chrome plugin for Bullhorn, calling your contacts and updating their information is as easy as a click of a button. Need to make an outbound call? Simply go to your Bullhorn contact and click – the call will be routed to your phone so you can simply pick up and start talking. 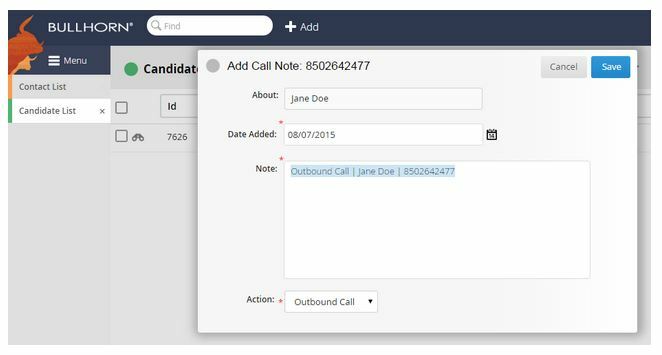 Inbound calls are also a breeze, as the plugin will quickly pull up your caller’s contact information in a pop-up window, making it simple for you to take notes as you talk. The Vonage plugin uses phone numbers to pull appropriate contact information from within Bullhorn. When you receive a call, a screen pop-up allows you to add notes. Unknown contacts can also be added from this screen. For outbound calls, you simply click the Vonage icon next to the phone number, pick up your phone, and the contact will dial automatically. A screen pop-up will also allow you to add notes.